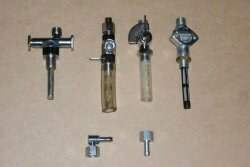 We stock a range of fuel taps and associated products. Please call or email your requirements and we will do our best to help. A few examples shown here. Prices vary from around £20.